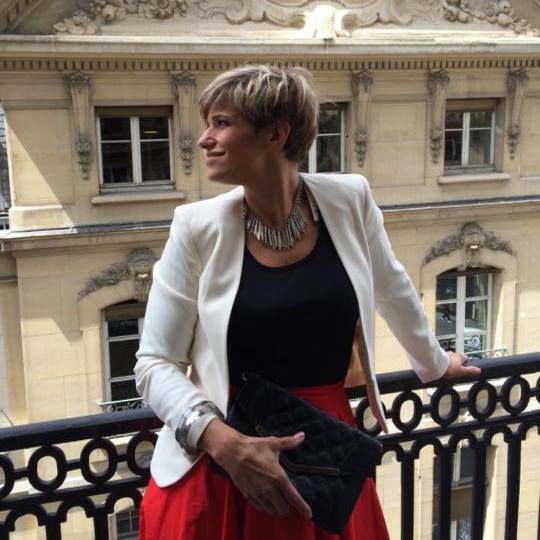 I get to share these absolute essentials often as a speaker on nation-wide coaching and education webinars as well as during informal settings like play dates at the park or fitness center. I have seen the impact that paying attention to these can make so I wanted to provide them in a more widely available format. Many are no-brainers, but difficult disciplines to create. Others may require a more in-depth look at what deficiencies may exist that contribute to a weakened immune system. Either way, I am glad to provide a way to launch into pursuit of better health! To improve and/or maintain health there are four essential recommendations: For in-depth information for the first three, check out Michelle’s great post. This is KEY. Decrease sugar (which includes grains) and increase vegetables. Sugar decreases immunity and vegetables increase immunity. This seems simple but it takes effort to have a nutritious diet. However, the effort you make to pursue nutrition and prepare healthy options will replace effort you may currently be putting forth in other areas. Consider time spent at doctor’s offices, home from work or school or even funds spent to meet deductibles or pay co-pays for office visits or prescriptions. 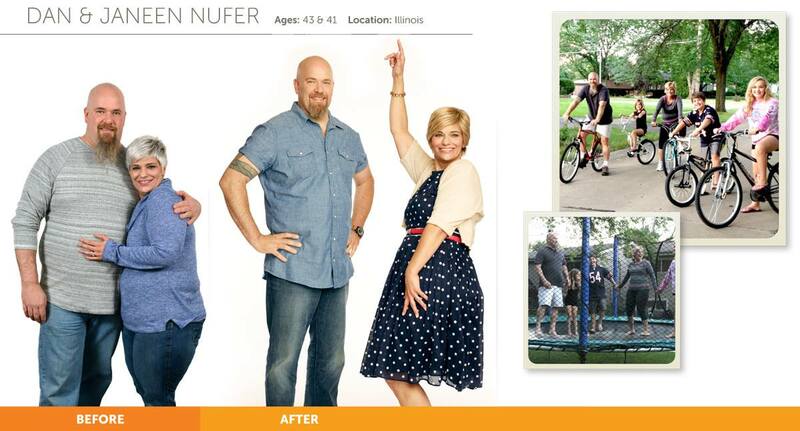 (We offer help with nutrition plans for all our Shaklee members). You may have heard “abs are made in the kitchen” and so it goes for immunity as well.Planning ahead to make the best nutrition choices as often as possible is very important. When you know you will be attending an event that will involve less than healthy options, be sure you consume protein and vegetables earlier in the day. You can also learn more about how to off-set the effects of an evening of poor nutrition or even a few alcoholic beverages with supplements. A quality, proper supplement will help your body process the occasional cheat meal or beverage and ensure you are not left deficient due to the stress that the less healthy choices may put on your body. Our bodies need sleep to repair and rest. Not getting enough quality sleep leads to a weaker immune system. Never underestimate the impact stress creates on the body. Often the symptoms of stress or lack of sleep will not show up until it is too late. This is why it is so important to design a sleep schedule and stress management routine (it can be very brief, especially if your body is equipped with the appropriate raw materials to internally regulate stress.) Stress will greatly hinder your immune system. (Shaklee members can contact us to help with these areas). Many people already feel like they have a good handle on the first three essentials, but are looking for even more ways to stay healthy. It seems to be getting more and more difficult, especially for those exposed regularly to schools, gyms and public workplaces. Because of this, I often get asked which supplements are best to boost immunity. These are just BASIC suggestions. Talk to your Shaklee consultant to determine a more customized and most cost effective plan for you. If you’re wondering why we choose Shaklee, watch this little video or ASK US! We are passionate about the Shaklee Difference! I recommend everyone (young and old) to be on a QUALITY multivitamin with research that backs it’s effectiveness. Why supplement? Despite even the best efforts to eat organic and all natural, our food supply does not contain the vitamins and minerals it once did. Even organic produce is grown for yield and not for nutritional value This means the choice is ours whether to supplement in an educated way that eliminates deficiencies and allows our bodies to function the way God designed them. Optiflora probiotics: Over 70% of the immune system is in the gut. Probiotics help to maintain a healthy digestive system. 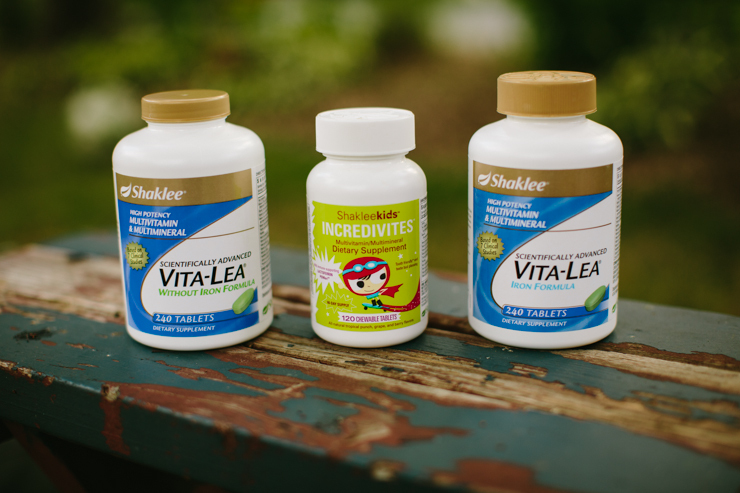 Shaklee has a patented triple-encapsulated delivery system that guarantees delivery of the full dose of probiotics at the right point in the digestive system. This is especially important for those who have Candida issues, have recently been on antibiotics, steroids, or those who experience digestive issues. 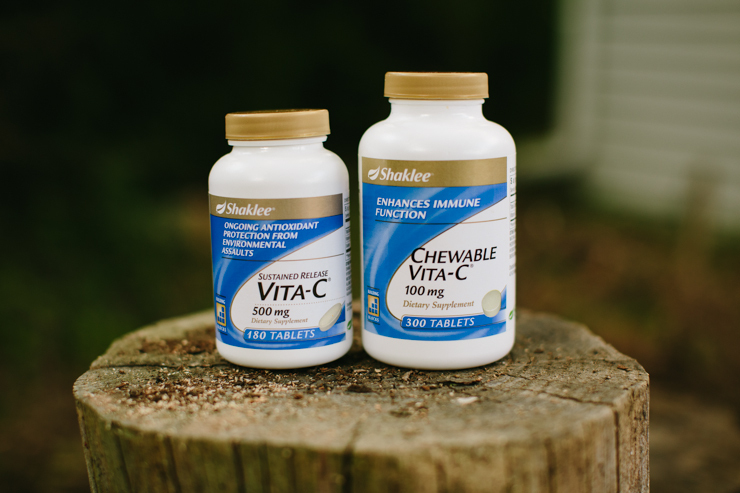 Vitamin C: Shaklee makes a chewable Vitamin C for children (better than Flinstone’s in every way, including that it is all natural and has no toxic fillers or ingredients like most over the counter kid’s vitamins have). Shaklee also has a sustained release Vitamin C supplement for adults. Ask me why sustained release is key for certain supplements. There are good reasons, but from a cost stand-point it ensures your body is getting it’s money’s worth of the supplement you ingest. Vitamin D: Bioavailability matters and ensuring that the Vitamin D you are taking is absorbed into your body is key. Vitamin D is chocked full of benefits for year round health and immunity, but especially important during the colder, cloudier winter days as well as if you work indoors most of the day. These supplements are great for when you feel like you or someone in your family is coming down with something or even once you are undoubtedly sick. Either way, taken regularly, they will help you avoid getting sick or at the very least assist your recovery and cut the time significantly that it takes you to get back to feeling human again. In our family we have avoided sickness countless times in the last several years simply by keeping these on hand and using them at the right time. Not only do we rarely get sick now, even with very young children, we have more time in our lives because of the down-time and effort being sick requires. NutriFeron: Scientists and medical communities have identified interferon as being crucial to healthy immune function. NutriFeron is an exclusive, patented formula, which provides a proprietary blend of four plant extracts designed to naturally increase levels of interferon in the body and provide immune support at the cellular level. When symptoms of sickness begin to become evident this is what our family begins to supplement with immediately and are close to a perfect record of fighting off the sickness before it takes hold. Defend & Resist: Defend & Resist Complex strengthens your body to respond to environmental challenges by giving your immune system what it needs to stay strong. Key ingredients in Defend & Resist have been shown in laboratory studies to help to stimulate the body’s natural resistance with Echinacea purpurea, help to maintain a healthy immune response with black elderberry and enhances immune support with larch tree. Who knew such little-known natural sources could be part of supporting your body, which was designed to be strong, to fight off sickness and germs?! The first two of these were staples in our home daily leading up to Christmas when everyone we talked to seemed to be sick and when nutrition and sleep were at a low. We managed to stay completely healthy despite regular contact with sick family and friends over the holidays. Yes!! These are simple guidelines to begin a roadmap to a stronger immune system. 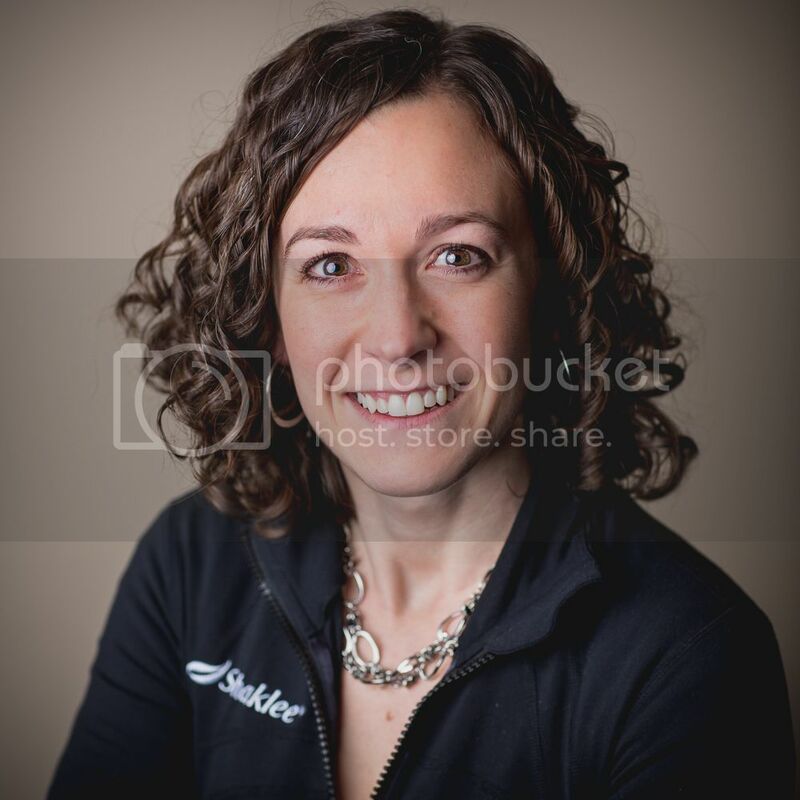 Your Shaklee consultant will be able to help you customize a plan to your specific needs and even taking budget into consideration. Categories: #shakleeeffect, Children's Health, Healthy Eating, Natural Solutions, Prevention and Healing, Shaklee, Supplements | Permalink. So you’re going to have a baby? Me too. If you’ve been taking care of your body and your baby with the great prenatal supplements from Shaklee and now you’re getting ready to have your baby. What do you need for labor, delivery and those first few weeks after birth. Aside from the “Labor Line” which is really the sports nutrition line, there are a lot of great Shaklee products that can help in the labor and recovery process. 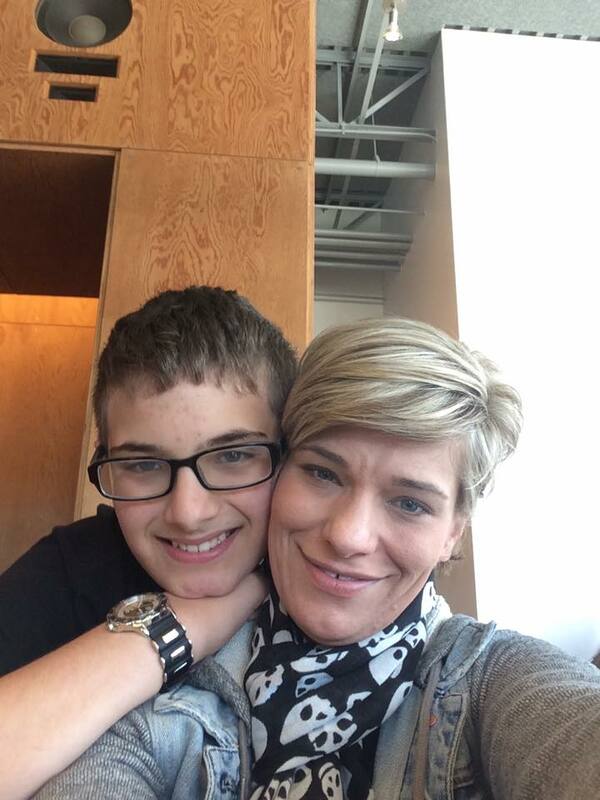 As I am packing my own bag for the hospital this week, I packed what I had used from past labors and got some great recommendations (all listed here) from other Shaklee moms! 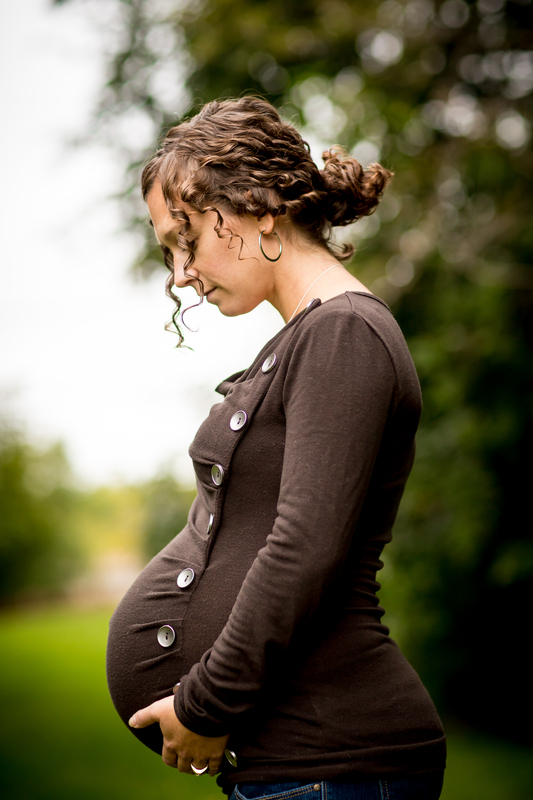 If you have not already been on a probiotic, you will want to consider adding one as you prepare for labor. I also recommend being on a prebiotic for the weeks ahead of labor and the weeks after. We pass along our gut flora to our babies which effects their skin, their immunity and their digestion. Probiotics have been proven to relieve the issues considered colic. To prepare their guts ahead of time and then provide the probiotic and prebiotic through breast milk will help with digestive issues like colic, will provide immune help, and will also help prevent mastitis. (These two products are particularly important if you will be on an antibiotic during labor due to GBS). Shaklee offers the most bio-available probiotic option on the market with their triple-encapsulated patented delivery system. If you have not already been taking a DHA supplement, consider adding OmegaGuard to help prevent postpartum depression. Taking the Optiflora as well as additional Vitamin D can also help with this. Shea Butter is a great product for your stretching skin—both healing and soothing. Joint and Muscle Cream is a great help for sciatic pain. Performance is a great and very healthy hydration drink that will help with early contractions that are due to dehydration. Hydration: Performance was created for optimal hydration for a endurance man-powered flight. If anyone needs endurance it’s a woman in labor. Energy: Energy chews are an easy way to have vitamins and a little caffeine to keep you going during those very long and difficult labors. Snack bars are a great option to have when you are able to eat. Stress Relief Complex or Gentle Sleep Complex to relax . Physique was created and normally used for recovery from weight-lifting, distance runs or rides, etc. This recovery drink was recommended for me to take after labor. Now, I would never go to the hospital without it. I consumed about a half or more of the canister within the first two days of each of my daughters births and I believe it was what made it so easy for me to move around and get active quickly. Since then, I have heard that some doctors even recommend it after hip and knee surgeries, etc., for better recovery. Herb-Lax is a great and much healthier alternative to the stool softeners you are given at the hospital. Along with the Optiflora products mentioned above, adding Vitamin D3 will help provide the Vitamin D needed for your baby. Often doctors tell you that you need to add Vitamin D drops to a nursing baby and often add iron. But if the nursing mother is not deficient in these items, the nursing baby will not be either. Babies whose mothers have been taking Vita Lea and Vitamin D3 do not show these deficiencies. Nursing mothers need to have enough protein and nutrients to provide enough for both them and their baby—yet it is difficult to get all of that in a healthy way. Shaklee180 smoothies not only provide the protein but also fiber and other nutrients, help prevent unhealthy cravings, boost muscle for recovery and metabolism boosting, AND a lactation consultant told my friend that they increase milk supply! If there is a milk supply issues, Alfalfa is a natural way to stimulate milk production (along with all its other great benefits). Lecithin is a natural compound that helps your body’s ability to absorb and make use of fat-soluble nutrients, which are critical to a wide range of body functions. The natural soy lecithin in each capsule contains linoleic acid, an essential fatty acid that our bodies cannot make; choline, a neurotransmitter component; and inositol, which plays a role in metabolic regulation. OmegaGuard and B Complex, as well as VitaD3 can help give your body what they need to prevent and recover from baby blues. This is a very brief overview of some helpful products for the expectant mom. Contact your Shaklee distributor for additional details and to put together a plan for your healthy labor! These are all tried and true recommendations from Shaklee Moms all over the country. Best to you in the birth of your baby! Categories: Pregnancy, Supplements, Wife, Mom, Superhero | Permalink. February is Heart Health Month and there is a lot to know about Heart Health! For many the first sign of heart disease is sudden death. Every year about 715,000 Americans have a heart attack. Of these, 525,000 are a first heart attack and 190,000 happen in people who have already had a heart attack. Coronary heart disease alone costs the United States$108.9 billion each year. This total includes the cost of health care services, medications, and lost productivity. 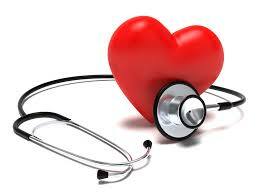 High blood pressure, high LDL cholesterol, and smoking are key risk factors for heart disease. About half of Americans (49%) have at least one of these three risk factors. Work on lowering your blood pressure and cholesterol. If you are on medications, follow the instructions from your physician for sure. Eat a healthy diet that is low in salt, total fat and cholesterol. Enjoy the richness of fresh fruits and veggies throughout your day. Exercise. Even if it’s just a brisk walk for 10 minutes a couple times a day, 5 days a week—that is important. And of course if you smoke, stop. Extra B-Complex can really help with cravings and energy during that quitting time. 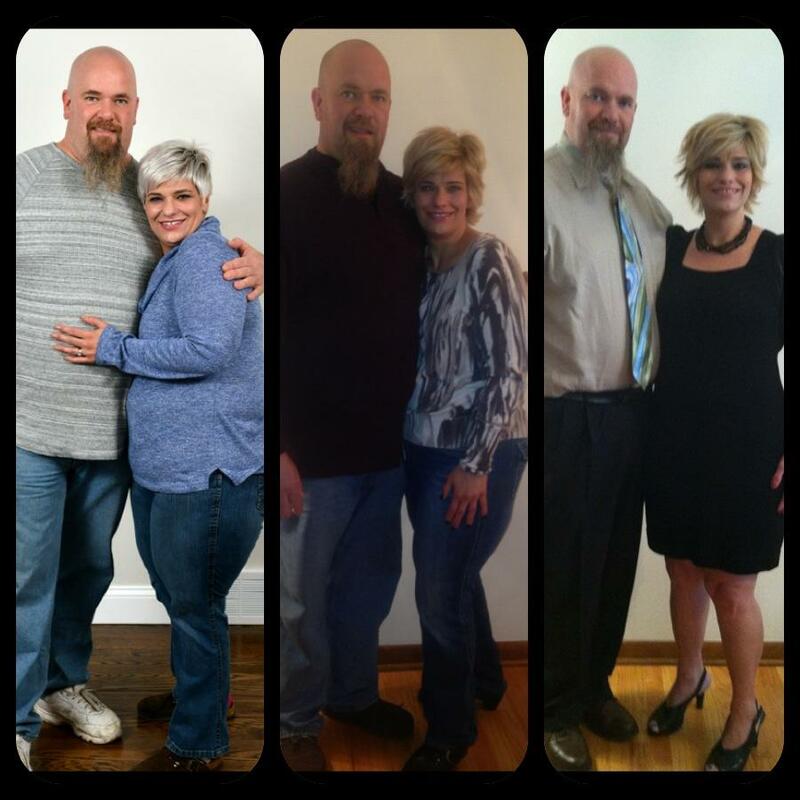 I can also provide other testimonies of supplements that have aided in quitting smoking. Every cell in the body requires the energy provided from this nutrient, CoQ10. 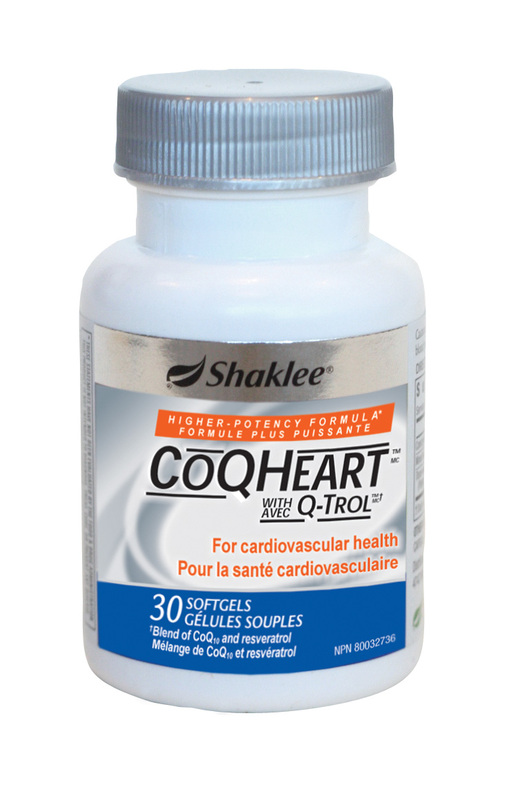 New Triple Strength CoQHeart® with Q-Trol™ delivers a powerful 100 mg of CoQ10 plus resveratrol in a bioavailable softgel. CoQ10 is vital for energy production in the heart and promotes and protects healthy arteries, while resveratrol helps relax blood vessels to promote healthy blood flow. For those on cholesterol lower medications, it is imperative to take CoQ 10 and those meds do impede the product of CoQ 10 in the body.CoQ Heart is improved in that it now contains 3X more coQ10 and Resveratrol than before. If you put it on an Autoship order, you will receive an additional 10% discount each time you order. 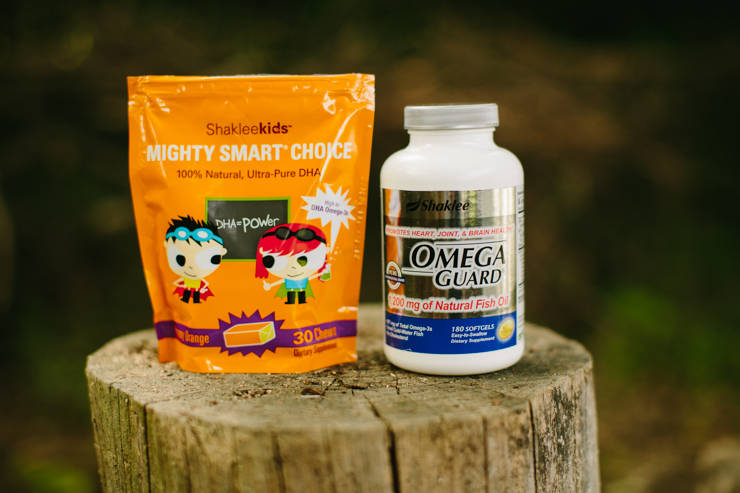 Omega Guard: Healthy Omega 3 Fish Oil. 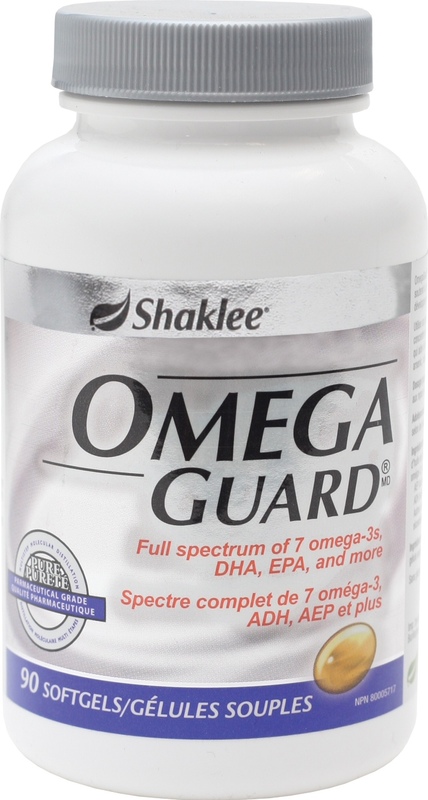 Omega Guard™ delivers a full spectrum of ultra-pure, pharmaceutical-grade omega-3 fatty acids to support healthy heart, joint and brain function. It is made with a proprietary multistep molecular distillation process for the utmost purity and potency of omega-3s fatty acids, including EPA and DHA. Shaklee Omega Guard is triple distilled to guarantee purity and potency. Cholesterol Reduction Complex: Naturally lower your cholesterol. This product contains a powerful blend of plant sterols and stanols that along with a healthy diet and exercise have been clinically proven to cholesterol. Ask you doctor ask them. They know about the sterol and stanols. All good, all natural and no harmful side effects. This delivers 2000mg of sterols and stanol, 100% of the National Institutes for Health recommendations. It is Gluten free as well as Star K Kosher certified. All three supplements are also offered in our Heart Health Package. I hope this information is helpful in your journey to a healthier heart! Please contact me for additional information or a personal consultation. 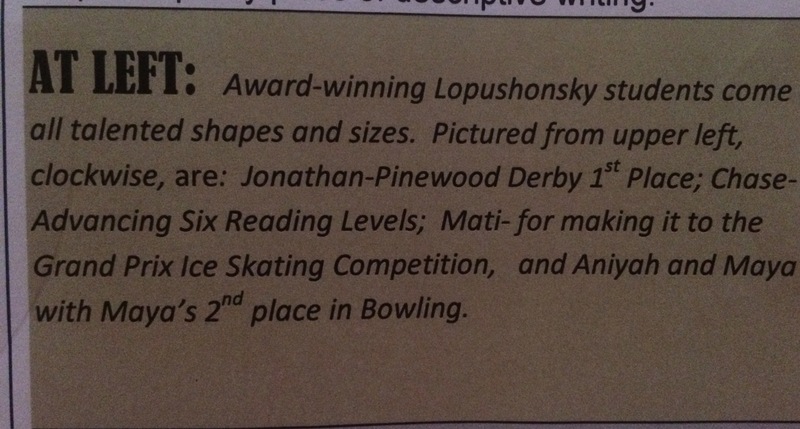 Thank you to Moyra Gorski for compiling this information and allowing us to post it here! Categories: Prevention and Healing, Shaklee, Supplements | Permalink. And click here to look at the LandMark Study—an independent study done by the University of California Berkeley that studied people who had been taking Shaklee vitamins for over 20 years compared to those taking another multivitamin and those taking nothing. Some multivitamins may be causing you to throw away your money—so make sure you are working with a company that has integrity, that does third party clinical studies, and stands behind statements like “always safe” and “always works.” I stand with Shaklee. (Click here to see why). 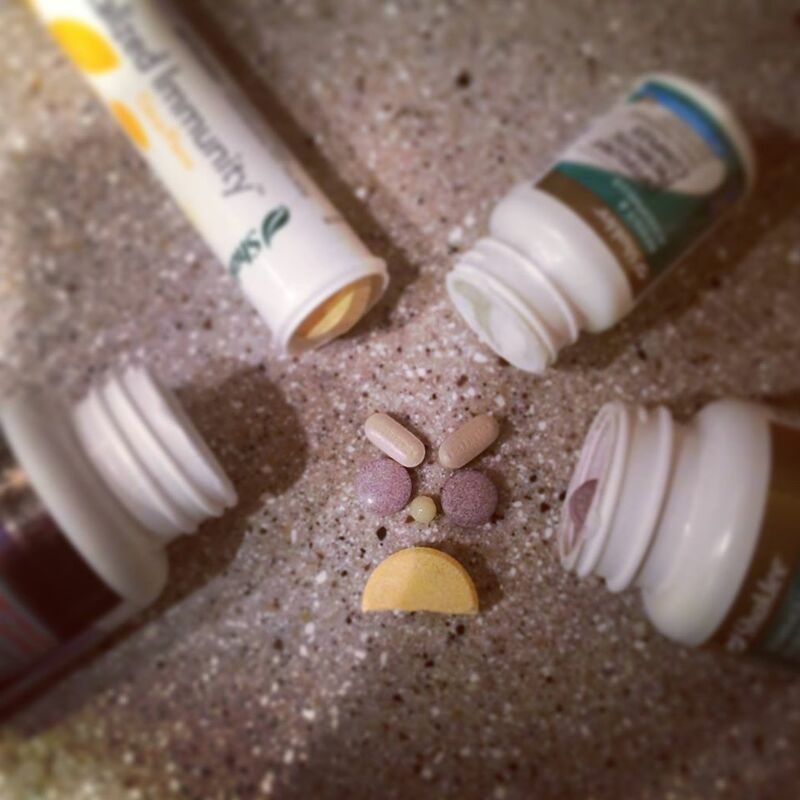 I have a handful of customers who understand WHY you should supplement and see the Shaklee Difference, but they just cannot seem to get into the routine of taking their vitamins. 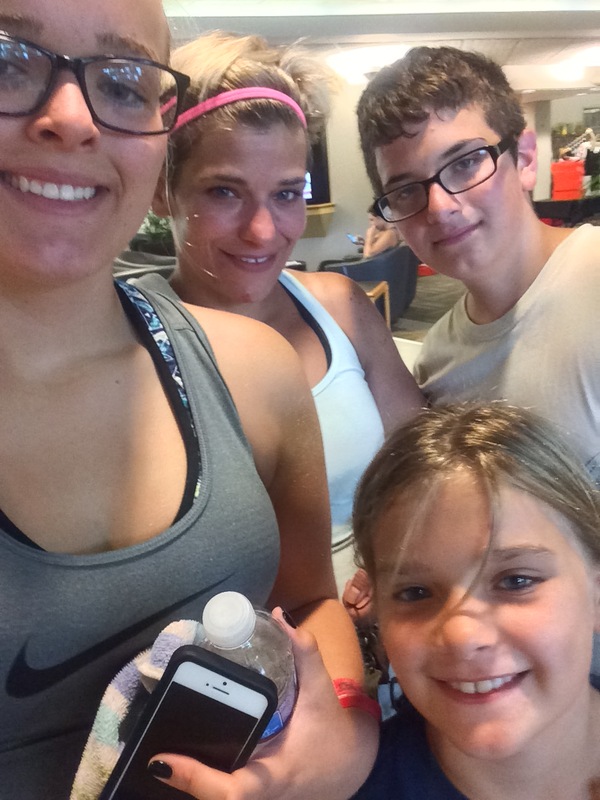 Good habits can be the hardest to maintain so here are some simple steps to try to help you! Put your vitamins where you can see them, near something you know you won’t forget—maybe your contact lenses, the coffee maker, or your car keys. Use the other things that you do to create healthy habits to improve your health! Give your children vitamins too! Children have way less to remember in the morning and they feel special taking vitamins like mom and dad. I know that my daughter often reminds me that we do vitamins before I start making breakfast because it is important to her. So not only will you be improving your health but your child’s as well. Set a reminder. I remember my grandpa used t o do this to remember to take his vitamins. It was on his watch because we didn’t have smartphones back then. I use reminders on my phone (or your watch) to remember to do a variety of things—taking care of our health is worth the reminder. Bring your vitamins to the office—I’ve had quite a few customers who take their vitamins to work (especially Vitalizer) to the office because they remembered it more easily there. Remember why you are taking them—watch the two videos above again and remember why you are taking the vitamins—are you hoping to prevent serious health concerns? 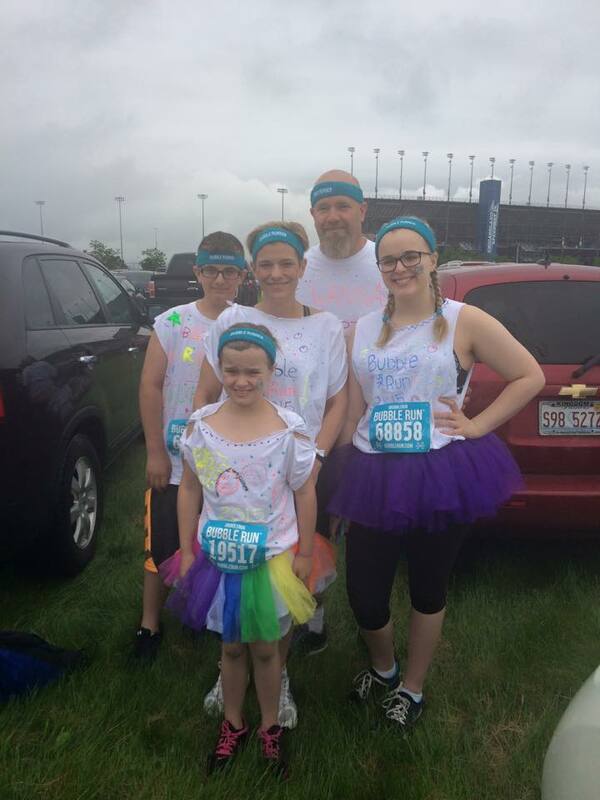 Are you trying to staying energized for your kids? Are you wanting to protect your health for the sake of your grandkids? Are you giving your body nutrients in hopes of getting pregnant? These are all great reasons that should motivate us to make taking our supplements a priority! I hope these ideas have been helpful! What do you do to remember to take your vitamins? 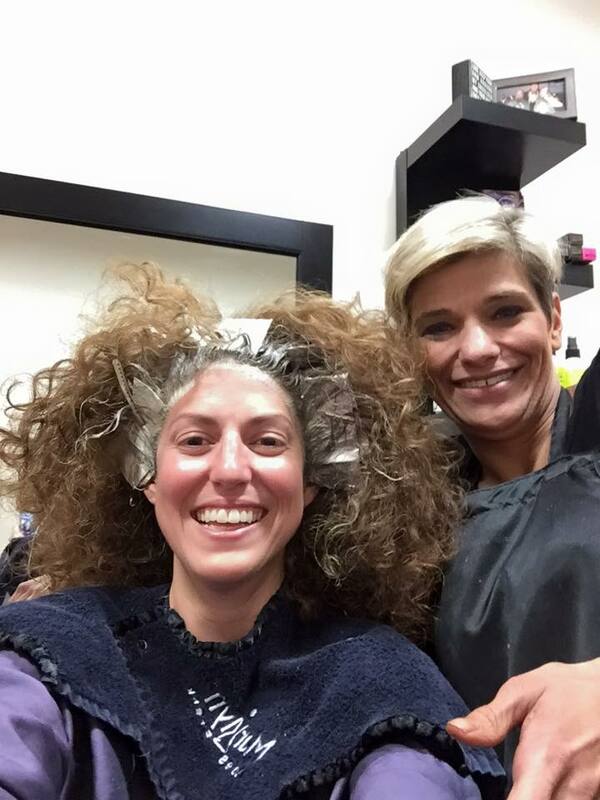 And check out this amazing post on the Vitalizer Challenge! If you read about health in the news, you probably have read the reports of a study which concluded that taking Omega-3 fish oil supplements increases risk of prostate cancer. 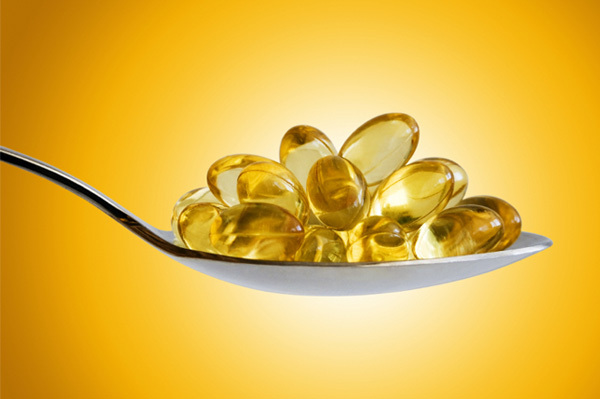 Before you walk away from all the amazing health benefits of an Omega-3 supplement, please read what Dr. Stephen Chaney has to say about the findings. Dr. Stephen Chaney has a BS in Chemistry from Duke University and a PhD in Biochemistry from UCLA. He has been Professor of Biochemistry & Medical Biophysics & Nutrition at the University of North Carolina at Chapel Hill Medical School for more than 30 years and has won several awards for teaching excellence. Dr. Stephen Chaney has published over 100 scientific articles and reviews in peer-reviewed scientific journals. He has also written two chapters on nutrition for a popular medical biochemistry textbook. Dr. Chaney also runs Chaney Lab at UNC a top Cancer research lab. That’s why expert scientists aren’t swayed by individual studies. We prefer to look at the “big picture” that emerges when you combine the results of many studies. For example, a meta-analysis of 24 studies with 461,402 subjects (Symanski et al, American Journal of Clinical Nutrition, 92: 1223-1233, 2010) found no association etween fish consumption and prostate cancer risk. in their study actually used fish oil supplements. 4) This study does raise a caution flag, but I would not recommend reducing your omega-3 fatty acid intake on the basis of these data alone – especially since most published studies show no increased risk of prostate cancer. There are much better designed studies underway that should clearly show an increase in prostate cancer risk if it is a real effect. I will monitor those studies closely and keep you abreast of any new developments. To read more from Dr. Chaney, see his website: www.socialmarketingconnection.com. 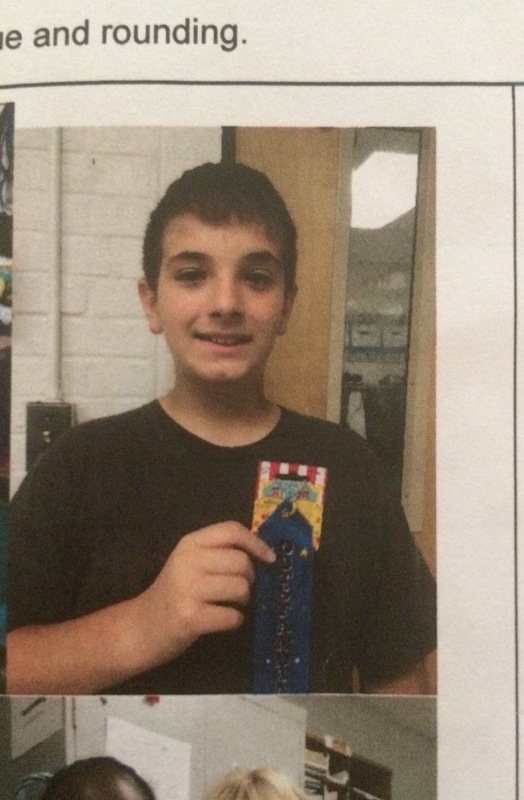 This article used with permission. Categories: Prevention and Healing, Supplements | Permalink.